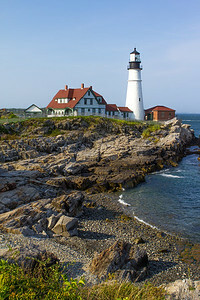 Professional Maine photography, lighthouse photography, acrylic face mounts, fine art prints, stock photography, and high resolution downloads by Andrew Rhodes. 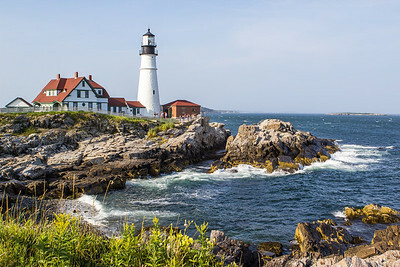 Locations include Marshall Point light, Nubble Light, Portland Head Light, and more. Lots of locations can be difficult to shoot. After a week of shooting the fall foliage in New England, I was a bit weary of chasing the perfect lighting, saturated colors, etc. 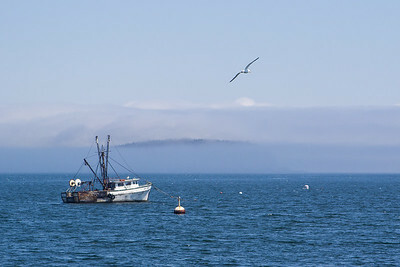 And then I got to Maine. 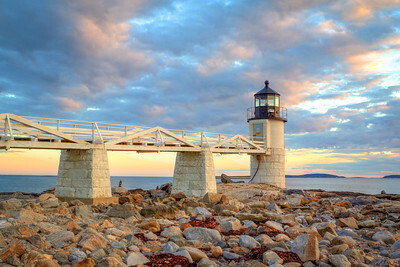 Nothing ever seems to ever be wrong when shooting this state., and my favorite lighthouse didn't disappoint. 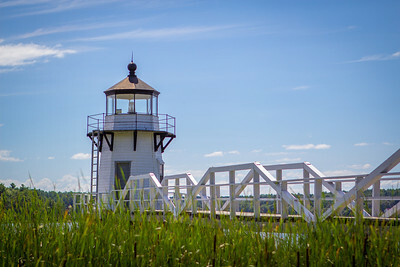 In fact, I brought my wife back a few days later to Marshall Point Light when she joined me in New England for the weekend. 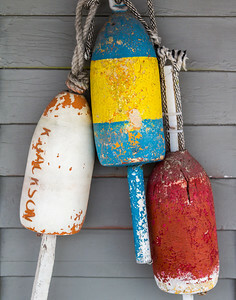 Buoys hanging on a lobster shack in the little town of Kennebunk, Maine. 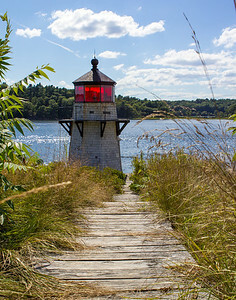 Having never been to coastal Maine before, I decided on a whim to make the trip to see Marshall Point Light. That turned out to be the best decision on an amazing trip, as a perfectly cloudy day transformed into a stunning sunset of purples, blues, reds, and oranges. 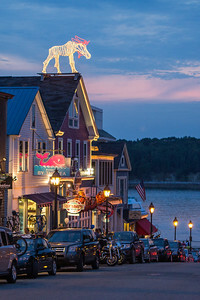 Over the course of several hours, I took some of my best photographs, not just in Maine, but all time. 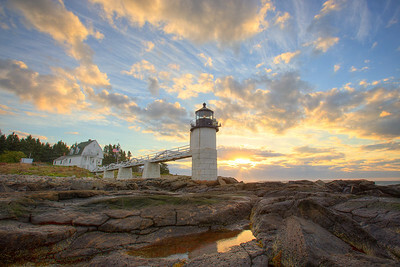 This three frame HDR composition is my personal favorite. Try it as a landscape print or as an acrylic face mount. 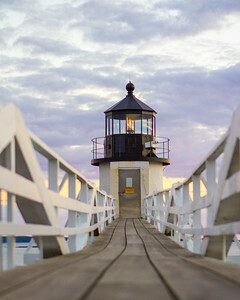 The stunning Marshall Point Lighthouse just before sunset with a soothing purple sky serving as the backdrop. 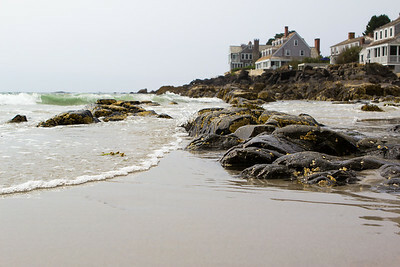 Near Arrowsic, Maine. Quite the hike to this one. Be prepared for a 20-30 min hike through some thick brush. 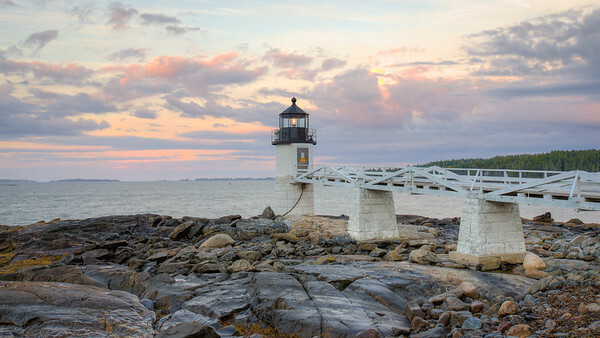 A panoramic view of Marshall Point Light at dusk on a beautiful autumn night.